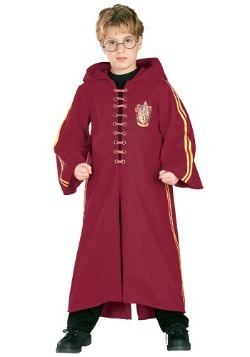 Grab Your Broomstick. Go After the Golden Snitch. 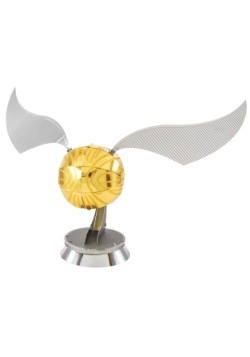 Modeled after the Golden Snidget bird, the Golden Snitch is the third and smallest ball needed for the sport of Quidditch from the movie Harry Potter. 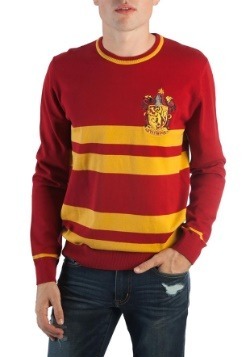 Among the 7 players on each team's side, there is the Seeker whose job it is to catch the Golden Snitch. Then 150 points go to that Seeker's team, and the game is over. But capturing the Golden Snitch is challenging. It's the size of a walnut. It's got silver wings with free rotational joints. 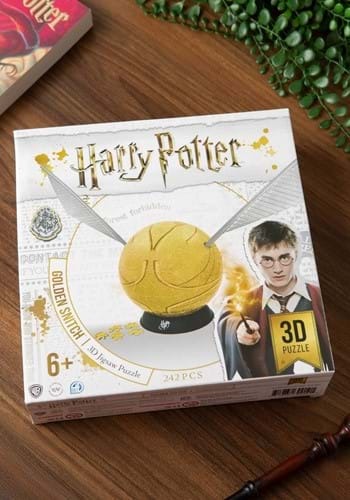 What about the first Golden Snitch that you catch while riding your broomstick? 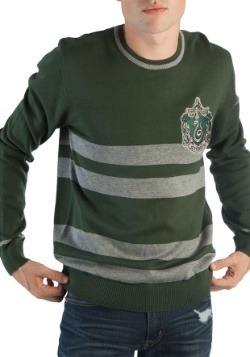 Albus Dumbledore left Harry Potter the first one he captured. And that one had something extraordinary inside. 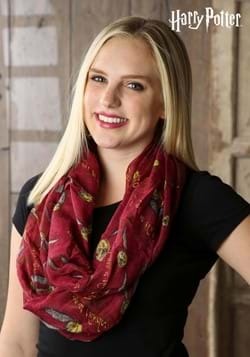 Enrolling in Hogwarts School of Witchcraft and Wizardry presents obstacles to overcome. 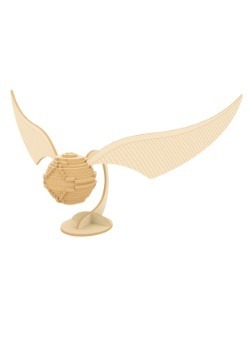 So, the alternative is to piece together the official spherical Golden Snitch 3D puzzle. 244 jigsaw puzzle pieces must be matched up and snapped together. Silver wings included. Once you have completed this puzzle, you can take it apart and invite others to try to solve it. 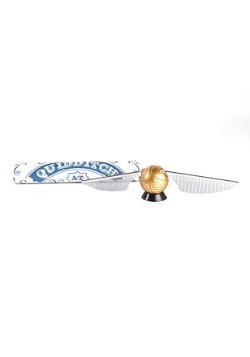 Better yet, put your completed Golden Snitch on display as a champion of the Quidditch sport.